Flaming Gorge Corporation owns and operates Lucerne Valley Marina since 1965. The Marina is located 7 miles East of Manila, UT on the Utah/Wyoming border. It is a beautiful fun environment to spend the summer. In addition to salary, employees receive free fishing boat rentals, and a 20% discount at the store and marina. There is some single housing available with water, sewer, garbage and wireless internet. Pay is negotiable depending on experience. Pay raises are given to those that have a great work ethic and are responsible. Pets are permitted if employee has an RV and they are kept on a leash at all times (FS Rules). We do not allow pets in the housing that we provide for seasonal staff. We offer furnished singlewide trailers for housing. Housing is free and includes water, sewer and garbage, but employees are responsible for part of their electricity and propane. For more information or to apply contact us at 435-784-3483 during business hours. 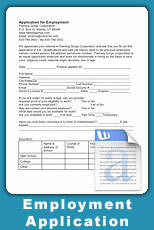 Resumes can be faxed to 435-784-3433 or emailed to [email protected].